What maintenance do you need completed? In an emergency, you should call 1300 757 885. During business hours, you will be connected to our maintenance team. After hours, you will be connected to our emergency after hours service. Under the terms of your Tenancy Agreement you can call a tradesperson to fix an emergency repair (types of repairs are listed in the Tenancy agreement), but you will have to pay the tradesperson and then claim for the repair from us. The maximum cost for this service should be no more than $500.00. 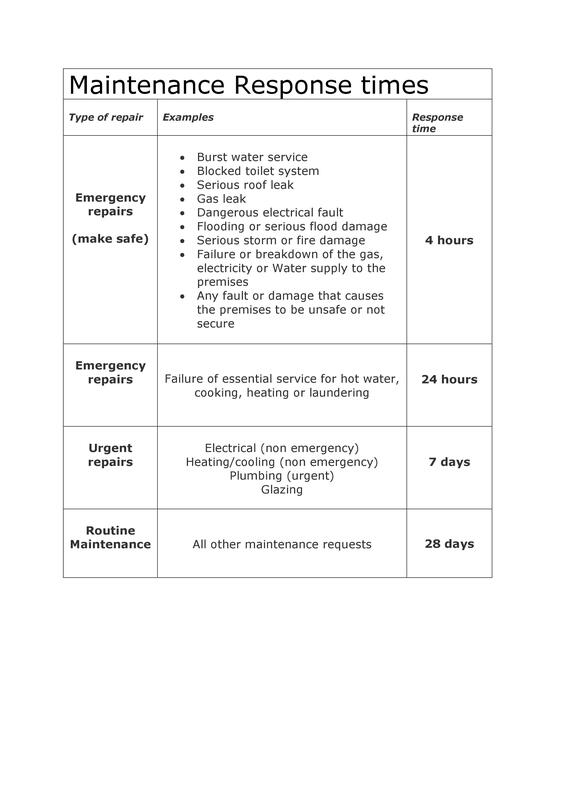 If the repair can wait until the office opens, then it is not considered to be an emergency.